Already an entrepreneur with her line of Organic Teas, this renowned Octogenarian from Liverpool, UK has partnered with Clear Creek Winery in Kemah, TX to produce exclusive, high-quality “High Tea” wines in 5 natural fruit flavours. Strawberry Fields; Blackbird Blackberry; Maharishi Peach; Abbey Road Apple and Blue Jay Blueberry. Sipped chilled, or used in a variety of exciting cocktail recipes, these California wines and Texas fruits are perfect for any celebration, High Tea, Wedding, Shower or just to keep one hydrated on a hot day. In winter, try them mulled with cinnamon, orange peel and spices. A woman for all seasons. Wines for all seasons. Bottoms up! 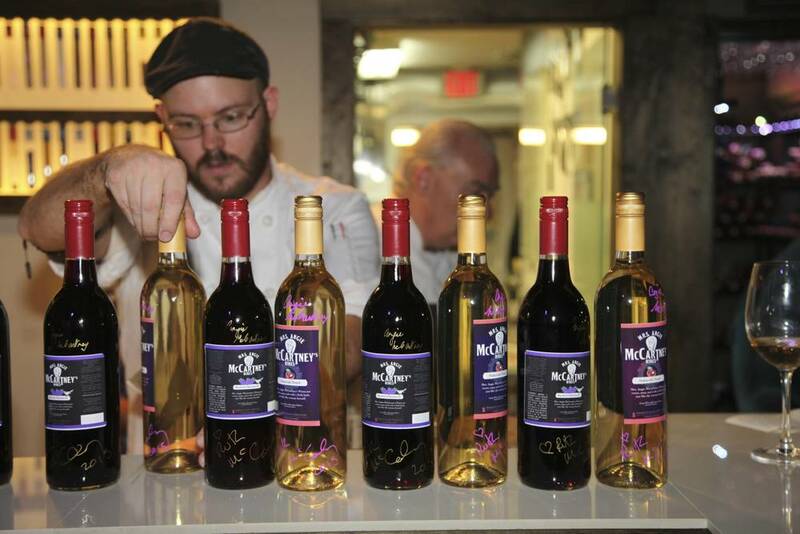 Nestled in the heart of old gulf-side Kemah rises a new shining star in the Texas wine industry. 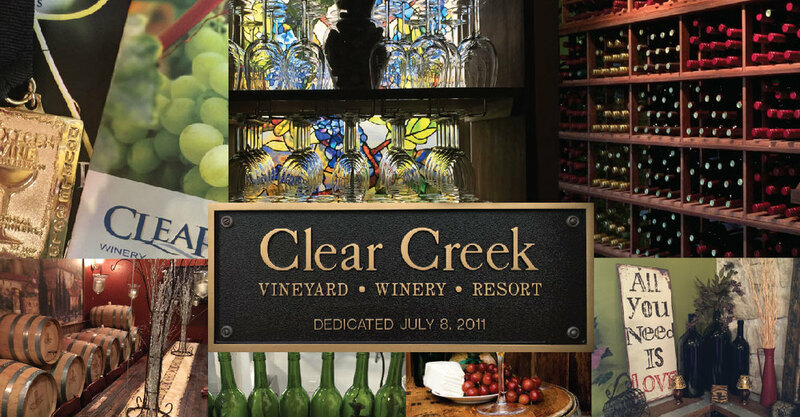 The award-winning Clear Creek Winery & Vineyard has changed the landscape with their spectacular 3 storey state-of-the-art facility half way between Houston & Galveston. 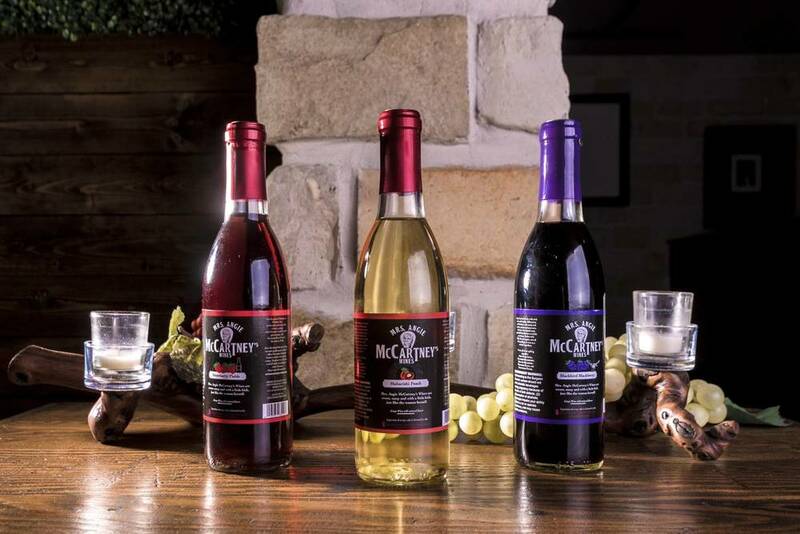 Situated at an ideal location for domestic and international shipping, award-winning Clear Creek was an obvious choice for Mrs. McCartney’s Wines. Originally envisioned by founder, Chef and Winemaker David Skinner in 2004, this Tuscan inspired structure incorporates the latest in green building technologies, as well as advanced on-site wine-making, bottling and packing techniques. Awards include: Bronze, Silver, Gold and Double Gold from Fingerlakes, Los Angeles International, Napa and Houston Livestock.